Super Bowl Sunday is around the corner! 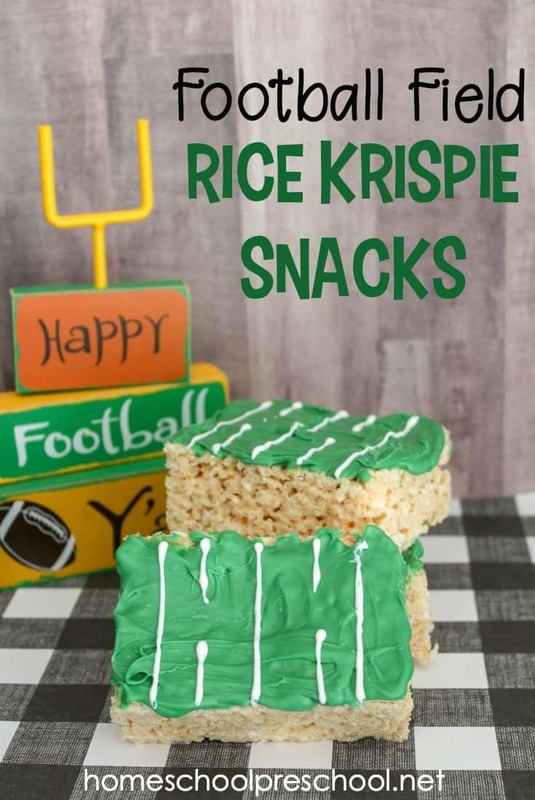 Show up at your Super Bowl party with this football rice krispie treat snack that’s easy enough for kids to make. 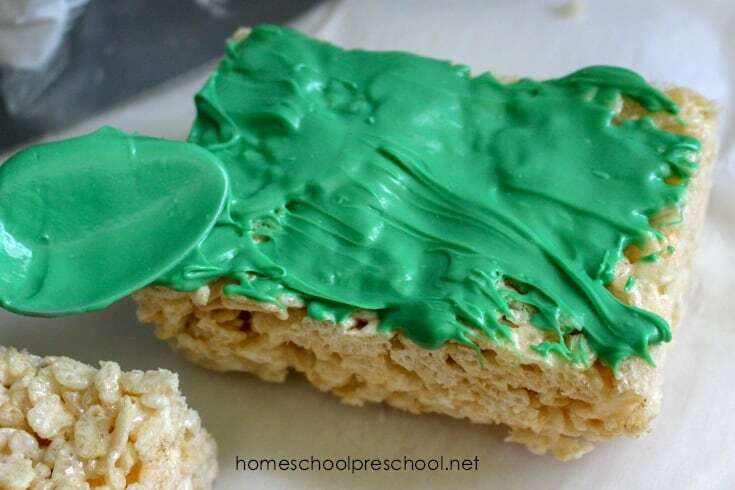 Kids love rice krispie treats. 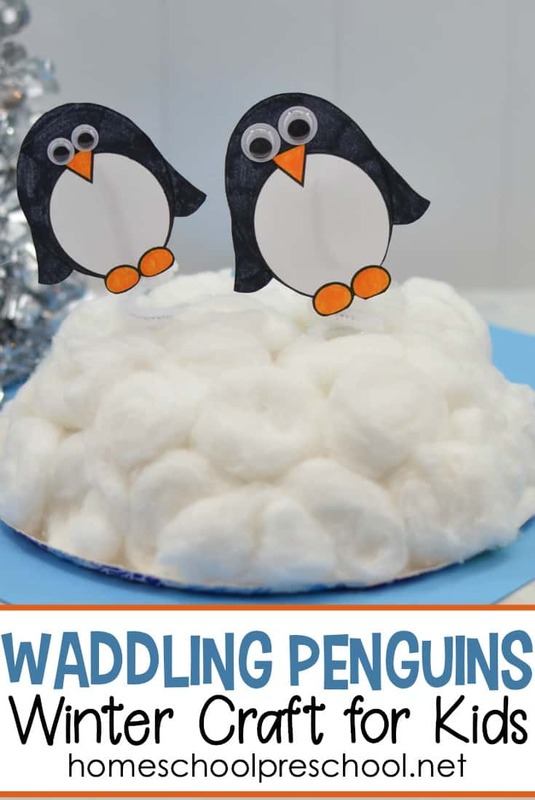 They’re easy to make and super yummy to eat. 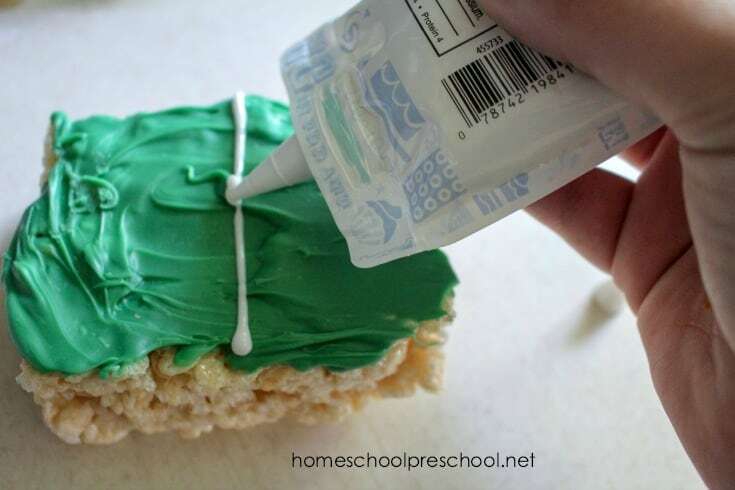 They’ll love helping you make these football rice krispie treats. 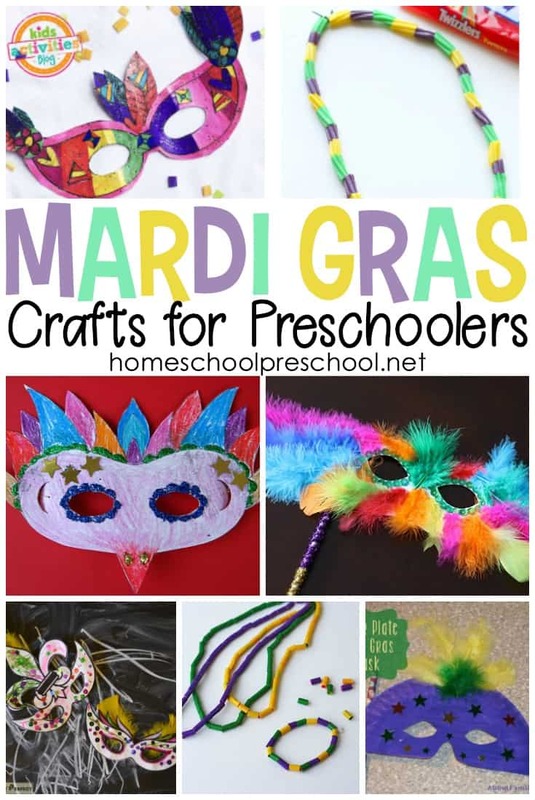 Serve them up at your Super Bowl party, or make them when you study the Letter F in your homeschool preschool lessons. Either way, let the kids help you out. 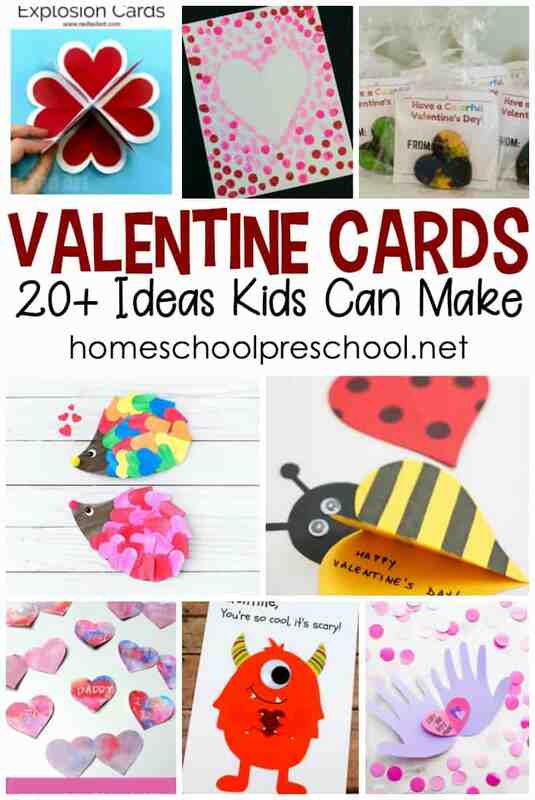 It’s the perfect activity to get your kids in the kitchen. 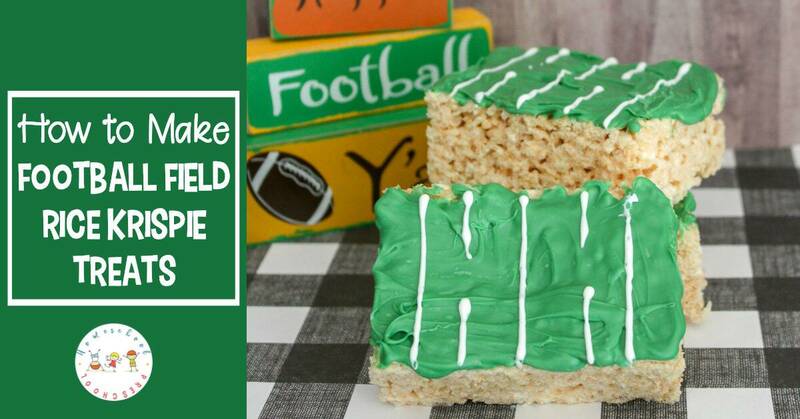 These football field rice krispie treats will pair nicely with football rice krispie treats made with Cocoa Krispies! 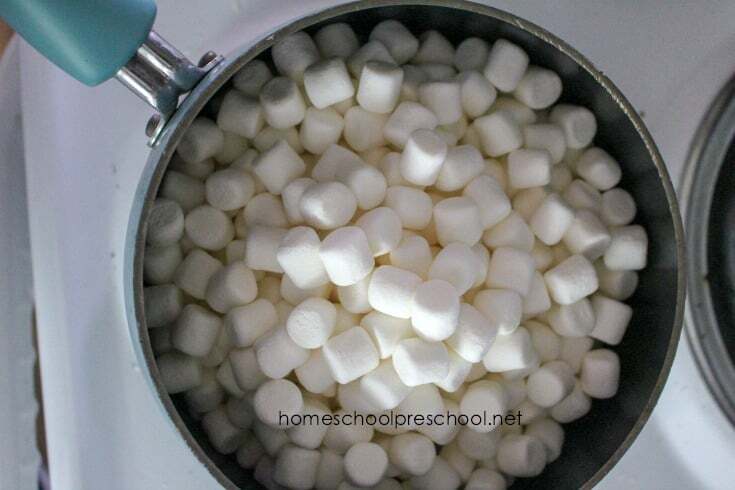 In a saucepan, add butter and a ten-ounce bag of mini marshmallows. Next, place the saucepan on the stove on medium-high heat. Stir vigorously so the marshmallows will melt without sticking to the pan. Once mixture is melted, lower the temperature to low-medium heat. Next, pour 7 cups of Rice Krispies in a large mixing bowl. 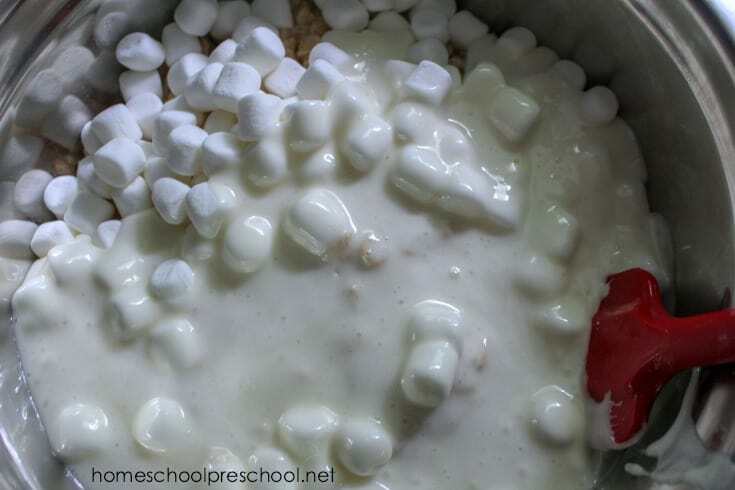 Pour the marshmallow mixture over the cereal, and stir thoroughly. Line a 9×9″ baking pan with parchment paper. Pour the mixture into the baking pan and smooth the cereal to the edges of the pan. Allow 2-4 hours to completely cool. Next, cut the treats into rectangles, being sure to trim the edges so the treats are uniform in shape and size. Melt the candy melts according to the directions on the bag. Once they’re completely melted, use a spoon to cover the tops of the rectangles. 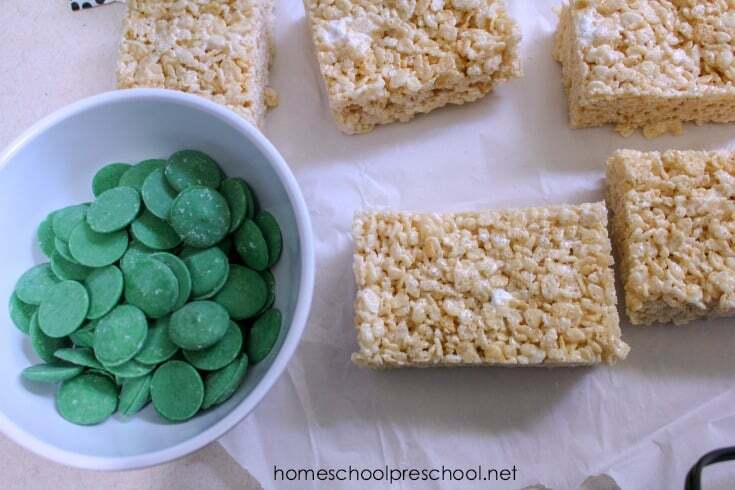 Allow candy melts to dry completely before the next step. Once the candy coating has dried, use the white icing or decorating gel to make lines across the treats to resemble the football field.